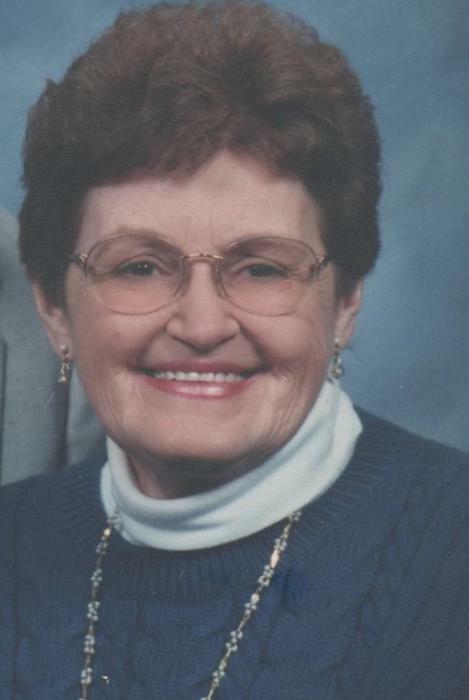 Obituary for Virginia C. "Ginny" DeVreese | Kaniewski Funeral Homes, Inc.
Virginia C. “Ginny” DeVreese, 88, of South Bend, Indiana passed away 7:00 p.m. Thursday, January 31, 2019 in her son’s home. Ginny was born on February 5, 1930 in South Bend to Aloysius “Mack” and Marie (Bednar) Aftowski. She had been the Funeral Dinner Planner at Christ the King Catholic Church for over 30 years. Ginny married Daniel F. DeVreese, Jr., who preceded her in death on March 31, 2006. She was also preceded in death by her daughter, Beth DeVreese; her son, Rick; two grandchildren, Kiesha and Zack; two sisters, Marie Smith and Evelyn Garbacz; and her brother, Jack Aftowski. Ginny is survived by her daughter, Ann M. Molenda of South Bend, Indiana; two sons, Jeffery W. (Tammie) DeVreese and and Daniel F. (Jennifer) DeVresse, III both of South Bend, Indiana; thirteen grandchildren; twenty-five great-grandchildren; one great great-grandchild; and her sister, Patricia (Ray) Czarnecki of South Bend, Indiana. A Mass of Christian Burial will be celebrated at 10:00 a.m. Monday, February 4, 2019 in Christ the King Catholic Church. Burial will follow in St. Joseph Cemetery. A visitation will be held from 2:00 p.m. until 6:00 p.m. Sunday in the Kaniewski Funeral Home, 3545 N. Bendix Drive. Ginny was a 1948 graduate of Woodrow Wilson High School. She was a member of Christ the King Parish where she was a Eucharistic Minister. An important event in her life was attending a Cursillo where she met with “groupo”. She enjoyed watching Downton Abbey and Miss Marple. Ginny was a true Notre Dame sports fan. Memorial Contributions may be directed to the Hospice Foundation. To send online condolences, please visit kaniewski.com. "Wherever a beautiful soul had been there is a trail of beautiful memories."